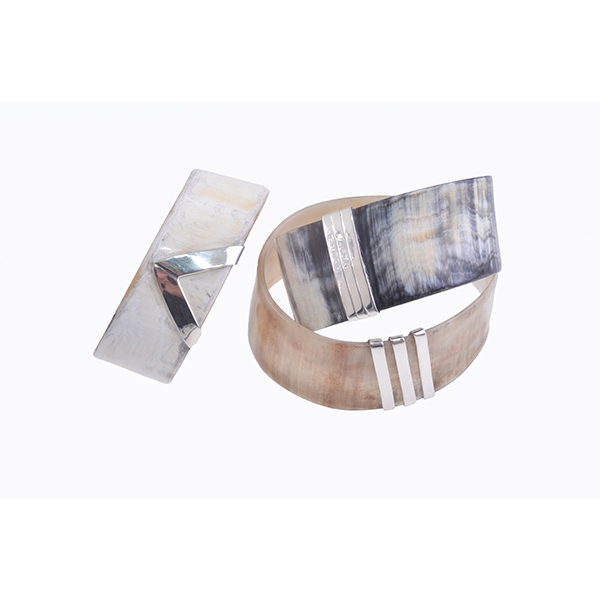 The medium bracelets are made of hand-carved, with different design additions sustainably harvested Nguni cattle horn with silver/ semi-precious gems/ 0.4 carat diamond set in silver. 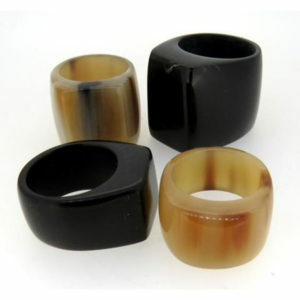 The sizes of the bangles vary as well as the natural colour of the horn. 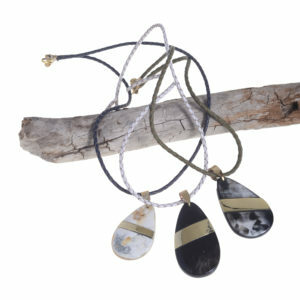 Due to the hand-made nature of this product, no two items are alike.